Bed and breakfasts in Key West are as historic as the city they call home. Exquisite, beautifully appointed, and steeped in history, these charming guesthouses are set in spectacular lushness meeting their guests every expectation. Below we've listed the bed and breakfasts in Key West. If any of the B & B's have amenities or a price range that interest you, click on the Check Rates button and TripAdvisor reviews link beside their name. This will take you to another page where you can read comments, and see pictures. To check for best rates, use the widget to the right of the B & B's picture. This lodging price checker lets you enter dates to find the cheapest rates and then you just click SHOW PRICES. Now you have a way to see prices and amenities so you can compare and get the best Key West B & B at the cheapest price. To help you select which Key West B & B will be most appropriate, use the following $ symbol legend as a quick reference. Please remember that nightly rates fluctuate season to season, and often there are specials. I recommend that you click on the Get Rates Button beside each B & B's name to get current pricing and search for the best, cheapest rates using the widget. Using the following TripAdvisor flight search engine will also help you plan your dates around times when you can get the best ticket prices to Key West. So you are aware, TripAdvisor is an affiliate of mine and as such I stand to earn a small commission when referring you to them when you check rates or use the search widget below. This doesn't cost you more to do this, as this is what being an "affiliate" means. Gracious 1 floor bed and breakfasts in Key West offers expanded continental breakfast, free parking and swimming pool. Some suites have kitchenettes, and all rooms include cable/sat-TV, coffee maker, phone with free local calls, ceiling fan, small refrigerator and wireless internet. For getting around Key West quickly, bicycle rentals are also available. One of the lusher bed and breakfasts in Key West enjoys an intimate tropical backdrop and features a pool to lounge by and a complimentary breakfast buffet. Near all of Key West's historic attractions each room is is repleat with necessities such as hair dryers, irons and boards, cable TV, wireless internet, private baths, ceiling fans, microwave, coffeemaker and refrigerator. You may also request a room with kitchenette or a room that has additional sleeping capacity. Tucked away in Hemingway's backyard, the beautiful tropical landscape invites you to enjoy a quiet moment of contemplation before enjoying a relaxing cocktail poolside. Start your morning off with a delicious champagne continental breakfast before venturing out to the many Key West haunts. Rooms are furnished with kitchens, refrigerators, private baths and private decks with jacuzzis. Take a step back in time and stay in a historic bordello at this adult only guesthouse. Various types of room accommodations are available, and all are cozy and charmingly furnished. This bed and breakfasts in Key West focuses on helping you to relax, and get away from it all. No phones and no TV so you can just lay beside the pool, or lounge in a hammock, rest, read or take a nap. Guests also receive a delicious breakfast to start off their day. Once home to Robert the Doll, this most photographed building is close to all Key West has to offer. Luxuriously appointed rooms feature private baths, bar fridges, TV and wireless internet throughout. This bed and breakfasts in Key West morning treat is a complimentary continental breakfast. Sister B & B to Artists House Key West, this beautifully restored mansion is designed to cater to your every whim. Private baths, bar fridge, ironing board, TV and wireless internet are included. Complimentary breakfast is served daily with happy hour provided each evening. This beautiful bed and breakfasts in Key West grounds are guaranteed to soothe your soul, and you can relax beside the pool or lounge on the gracious, sweeping porch. The themes of this Conch style B & B's rooms revolve around Key West's famous authors. With private baths, cable TV, phones and refrigerators in each room, this interesting Key West B & B also features a pool with sun decks and tropical gardens for your enjoyment. On Duval Street, in the heart of Key West's excitement, this lovely B&B is close to everything. Private baths, bar fridges, romantic canopied net beds, and a delicious continental buffet breakfast enhance your stay at this historic B & B. This historic treasure features the perfect blend of Victorian and Bahamian charm. Quiet, but near all the major attractions, guests can relax in the peaceful gardens or by the pool. Complimentary buffet breakfast is provided every morning, along with free parking, and free local calls. Rooms are fully equipped with the necessary amenities with all rooms having access to the beautiful outdoors from gracious, old world verandas. Decorated with Bahamian flare, the affordable Caribbean House bed and breakfasts in Key West bonus is that it's located in Bahama Village. Close to everything to see and do, each room is colorfully appointed, and equipped with necessities such as private baths, free wireless internet, bar fridge, and cable TV. 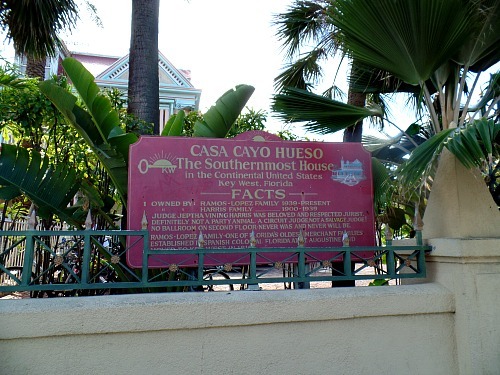 Sharing the lobby with it's sister complex Cuban Club Suites, Casa de Luces or House of Lights is one of the more affordable bed and breakfasts in Key West. The rooms are neatly decorated with a tropical flare, and access to each room is via private verandas. Swimming pool privileges are provided through a nearby facility. Wake up to a delicious complimentary full breakfast after a restful nights sleep in this beautiful, adults only Victorian Inn. Close to everything you'll find it's easy spend your day visiting historic Key West, then relaxing poolside enjoying the pleasant lush gardens. Rooms are individually decorated and include private baths, as well as cable TV. Be a part of the Key West experience when you stay in any of these historic and charming cottages. Amenities include the minimum kitchen necessities such as fridge and microwave right up to full size and fully equipped kitchens. Guests enjoy free extended continental breakfast daily, free internet, cable TV, and concierge services. Bike rentals are available, plus guests have use of the BBQ area. The outdoor pool is designed for you to relax and enjoy the beautiful, peaceful and private grounds. Near all Key West attractions, this bed and breakfasts in Key West perk is that it provides a private and quiet setting with cozy accommodations for their guests. Rooms have private baths and also contain a bar fridge, microwave, coffee maker and other amenities. This splendidly elegant, pet friendly bed and breakfasts in Key West is the perfect choice for you and your best friend. Relax in the beautiful garden beneath spectactularly colorful poincianas trees or sit on the spacious porches and enjoy a gentle breeze and the view. Rooms have private baths, beautiful bahama style ceiling fans, and TV. A continental breakfast is served every morning and a social hour is held in the afternoon. The Garden House Key West focuses on relaxation and fun. Each afternoon a complimentary happy hour is served and guests start off each morning with a complimentary continental breakfast. Rooms are comfortable and each have a private bath. Guests can lounge beside the pool or suntan on the deck, while enjoying the lush landscaping that envelopes the area around them. Heron House Court is a AAA 4 Diamond and 4 Crowns American Bed and Breakfast Association rated getaway. You'll find that Heron House Court is one of the perfect bed and breakfasts in Key West for a romantic retreat. Guests are soothed by the surroundings whether in their well appointed rooms or in the lush outdoor setting. Guests enjoy time by the outdoor pool and a good soak in the spa tub before heading out on the town. Each morning complimentary breakfast is served and each room also includes internet access for your convenience. Every morning treat yourself to a poolside continental breakfast before heading out on your Key West adventures. Return in the afternoon to a relax in the aromatic gardens, take a dip in the pool or sun on the second story deck. At Heron House Key West, you'll find beautifully and individually decorated rooms add to this 4 diamond facilities ambience. Private baths are in each room, which also include telephone, cable TV, bathrobes and the morning paper for your convenience. This 1894 bed and breakfasts in Key West location in the history area adds to it's quaint and cozy charm. Stay in a Conch House influenced by Victorian and Bahamian decor. 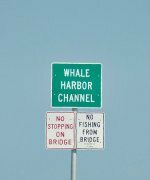 Close to all the major attractions this treasure is in the heart of Key West's magic. Rooms have private baths, free local calls and wireless internet, along with cable TV and bar fridges. Gracious and elegant, these two exclusive properties are part of the Southernmost Hotel Collection. Charmingly decorated with spectacular ocean views, and private facilities, this is the ultimate in comfort. Guests are treated to fresh complimentary breakfasts each morning, and the staff pay close attention to every minute detail creating the best vacation possible. This beautiful 2.5 story mansion is the perfect setting for guests to relax while in Key West. Lounge on the sun deck or beside the beautiful pool. Head off down Duval Street for a day of exploration. Enjoy a delicious continental breakfast along with the morning paper after a restful nights sleep. Each room has it's own bath and free parking is also available. This lovely 3 story mansion's tropical gardens and quaint setting make this one of Key West's most sought after bed and breakfasts. Start each day with the smell of different brewed coffees. Enjoy fresh pastries, fruit and juices, and come 'home' each night to a complimentary happy hour where you can unwind or visit with other guests. Full equipped, each room has bar fridges, phones, Cable TV, radios, and all the extras one would expect of a quality bed and breakfasts in Key West. A typical Bahamian style mansion complete with tin roofs make this an excellent choice for a fun and casual stay in Key West. Close to everything, once you've spent the day visiting the area's attractions you can relax poolside or on the garden deck. Spacious rooms are beautiful decorated in tropical themes, with cable TV, coffee makers, free local calls and other helpful amenities. This bed and breakfasts in Key West studios or suites are comfortable and include kitchenettes, cable TV, private baths and sitting areas. Conveniently situated this B & B is located directly on Duval Street in the heart of all the action. The combination of proximity to Duval Street, lush gardens, and beautifully appointed rooms, makes this one of the more charming bed and breakfasts in Key West to consider. Add in the fact that it's pet friendly, and it takes on an additional spectrum of comfort and homeyness. With an emphasis on 'green', guests are treated to an all natural breakfast. Free WiFi is available, and rooms offer an assortment of amenities with some having bar fridges, patios and balconies. Kitchenettes and private baths, along with TV, private porch and king beds are included in the studio rooms. The spacious cottage is a 2 bed 2 bath unit and all guests enjoy the large jacuzzi and pool. Continental breakfast is served poolside so guests can enjoy the lush tropical gardens. This spectacular bed and breakfast provides guests with the upmost in luxury. Every room or suite has spacious bathrooms, breaktaking views, and elegant rooms to enhance your stay. The Lopez House, an oceanfront 5 bedroom/5 bath home can also be rented as a single unit. This historic home has been in the family for generations and rooms are elegantly appointed to reflect various, unique themes. Rooms range from gracious bedrooms to a poolside cottage and a cabana. Close to all Key West activities guests can return to relax poolside and enjoy the beautiful gardens. Rooms include phones, quality beds and bedding, TV, bar fridges and wireless internet. This beautiful bed and breakfasts in Key West is a top choice, having been listed as a Frommer's Travel Guide "Find" and also as an "Insider Pick" in National Geographic Traveler Magazine. Free parking, TV, phone, bar fridge, tasteful decor, and private baths are just some of the features include. Some suites also include kitchenettes. This extraordinarily clean and quiet facility also provides a larger Continental breakfast and has on site bike rentals for your convenience. Focused on detail to make your stay perfect, The Knowles House excels at making their guests feel comfortable and at home. With numerous amenities including luxurious bathrobes, wireless internet, bar fridge, TV, hot tub and a beautiful pool to relax beside this is your perfect vacation getaway. Enjoy the beauty of one of the more conveniently located bed and breakfasts in Key West, perfectly situated to enjoy all Key West activities. Rooms are elegantly appointed with their own bath. The grounds are one of the largest in the area and are filled with a variety of aromatic and tropical flora. The sparkling pool provides ample opportunity to relax or sunbathe and complimentary continental breakfast is served each morning. This bed and breakfasts in Key West includes the main house and 3 cottages all laid out around the beautiful, tropical gardens. A waterfall, pool and spa add the water element necessary to make this a relaxing and romantic getaway. Rooms are furnished with bar fridges, phones, TV and wireless internet. Beautifully appointed, they ensure a peaceful and elegant retreat for their guests. A complimentary breakfast buffet is also served each morning. Surrounded by beauty and cozy comforts, staying at any of the bed and breakfasts in Key West is certainly one of the best ways to spend your Key West vacation.